Hey all! People have been asking, and I’m thrilled to let you all know that Hsiu-Lan Chang at FastFrame in Washington Square will be my hostess with the mostess for the next few weeks. I’m really looking forward to checking out my new digs–everyone says I’ll fit right in with Washington Square! 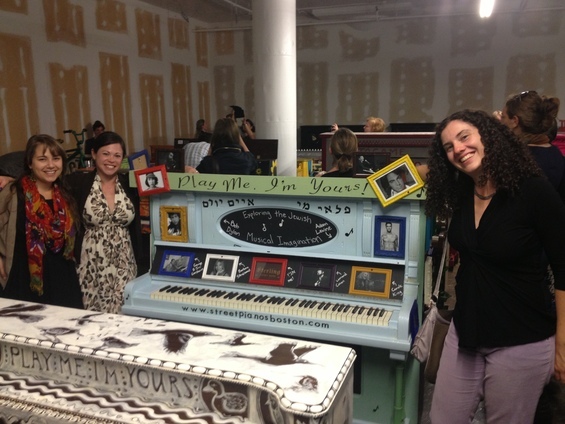 From the time Louis Gentile so kindly donated me to @StreetPianosBoston, this has been quite an adventure. After a few weeks in my Drydock home, I’m thrilled to say that Mayor Menino will welcome us all to town on Friday afternoon (I can’t make it over there, but if you can he’ll be at City Hall Plaza at 2pm!). You can come visit me anytime between September 27 and October 14. And since I’m such a lucky girl, New Center NOW is throwing me a party on October 6 – join us from 2-5pm and bring along your sheet music!